Liverpool host Chelsea at Anfield on Sunday in what could prove to be a decisive encounter in the Premier League title race. 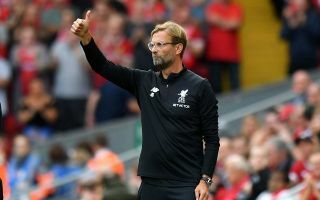 The Merseyside giants will hope to respond after Man City’s result at Crystal Palace, with Jurgen Klopp’s side desperate to continue to lead the way at the top of the table. The German tactician is having to balance his squad currently given their Champions League aspirations, as they look to continue to compete on two fronts between now and the end of the season. Nevertheless, given what’s at stake this weekend, he has gone with his strongest possible line-up, with Chelsea undoubtedly desperate for a result themselves as they continue to battle for a top-four finish in the league this season. The preferred attacking trident of Mohamed Salah, Roberto Firmino and Sadio Mane will lead the way up front, while Jordan Henderson, Naby Keita and Fabinho form the midfield trio. That is where the only change comes from the side that won against Southampton last time out, with Henderson getting the nod ahead of Georginio Wijnaldum. Having come off the bench to score in that win over the Saints, the England international will hope to have a similar impact this time round, with the fans below seemingly pleased with the switch. Liverpool face Porto in the second leg of their Champions League quarter-final tie in midweek, but their full focus will undoubtedly be making sure they secure all three points on Sunday to continue to pile the pressure back on City.
? #LIVCHE TEAM NEWS ? Here’s how we line-up this afternoon. ? What a team c’mon u red men ? ? ?